What if I told you there was something you could do to improve your vocabulary, grammar, listening, reading, writing, speaking AND confidence in English? Something that only takes a few minutes every day AND something fun? Something that is truly effective according to studies? I do. In fact, it’s my favourite part of my morning routine for learning Turkish – you can use it for learning English (or Spanish or Urdu or Latin. Well, maybe not Latin). I sometimes sing some of the Turkish songs I’ve learned while getting clean. No one can hear me in the shower, so I can sing at normal volume and make all the mistakes I like. It’s a great way to build up energy and confidence in the morning. But it’s not only good for confidence and energy. Studies1 show that singing in a foreign language improves grammar, vocabulary, writing, reading, listening, speaking AND confidence. A little singing every day can make a very big difference to your English. And it’s fun! Google the words to your favourite song by typing “[favourite song name] lyrics”. 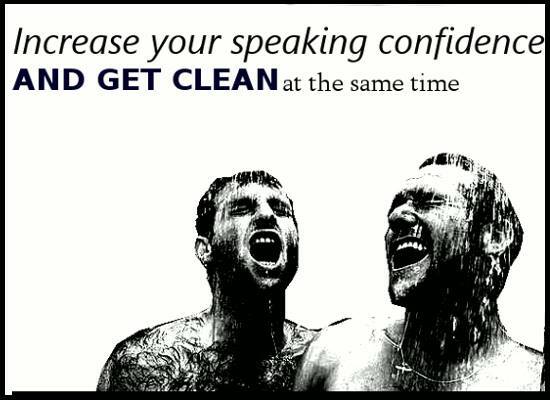 You’re on the way to more confident speaking. 1. Medina, L. S. (2002). Using Music to Enhance Second Language Acquisition: From Theory to Practice, in J. Lalas & S. Lee, Language, Literacy,and Academic Development for English Language Learners. Pearson Educational Publishing. Thanks Ramla. Interesting stuff, isn’t it?